On October 11th and 12th, two days were simply revolutionary as regards the relations between Italy and Eritrea and Ethiopia, crowned by the election by a large majority of Asmara as a member of the UN Commission on Human Rights . Expectations are enormous and the potential to achieve them is too abundant. These last two days have seen the important visit of the President of the Council Giuseppe Conte in Ethiopia and Eritrea, aimed at re-establishing relations between Italy and these two important countries of the Horn of Africa after a ten-year absence of our diplomacy, and not only. To make clear what was the degree of waiting for the visit of Conte to Addis Ababa, capital of Ethiopia, just think that the whole city was literally covered with posters that depicted him to the new Ethiopian premier Abiy Ahmed, the man who with its 360 ° turn of Ethiopian politics has made possible the start of the pacification and integration process of the Horn of Africa, today firmly in progress and which also sees Italy's involvement. The comparison with Abiy Ahmed was very precious for Giuseppe Conte, as he allowed him to express his first positions on the role that Italy and the EU must have with the Horn of Africa in matters of cooperation and immigration. In this regard, the call for collaboration between the European Union and the African Union, two bodies that already cooperate in some key sectors for development, was very significant. According to Count, the African Union is a strategic interlocutor for the control of flows and for repatriations, which after the peace in East Africa will undoubtedly find a strengthening and a facilitation. In addition, the African Union can provide a great help also with regard to the future and further stabilization of the Horn of Africa, with an eye especially for Somalia. Subsequently, in today's day, Conte traveled to Eritrea, where he was equally eagerly awaited. The unquestionable merit of the Prime Minister is that he is first and foremost the first European leader to go to Ethiopia and Eritrea after the long years of the state of "neither war nor peace", and even more so after both countries have recognized the terms of 2000 Algiers Agreements. These Agreements, which Eritrea had already signed in 2000, were accepted by Ethiopia in 2018, following the fall of the former government dominated by the Tigray Liberation Front of the late Prime Minister Zenawi, and the consecutive rise of the new premier Abiy Ahmed, of the Oromo ethnic group, belonging to another formation and above all to an ethnic group historically discriminated and repressed in his country. "I wanted to testify to the president and to the whole Eritrean people a signal of attention and satisfaction for the turning point reached in the context of the pacification process with Ethiopia, after a twenty-year conflict that has caused tens of thousands of victims", said Conte, "The signing of the peace and cooperation agreements creates the conditions for recovering resources so far dedicated to defense and security and to allocate them to the social and economic development of the country. The pacification and development of the entire region of the Horn of Africa, as I said to the Eritrean president, can ensure better living conditions for the local populations and contribute to stabilizing the international relations framework, also stabilizing migratory flows ". In this declaration, diplomatic and honest, there is a little 'all the sense of the news known from the political turnaround that has affected Eastern Africa in recent months: the cessation of the permanent state of war will allow to allocate valuable resources to other sectors , thus removing them from the defense, to promote the development of the countries of the Horn of Africa in a framework of regional synergy and integration. Even in Eritrea since the day before the Italian and Eritrean flags were matched together with each street lamp and building, ready to welcome the Italian Prime Minister. They had begun to put them in the last few days and already on October 11, the day before the arrival of Conte, the work had been completed. 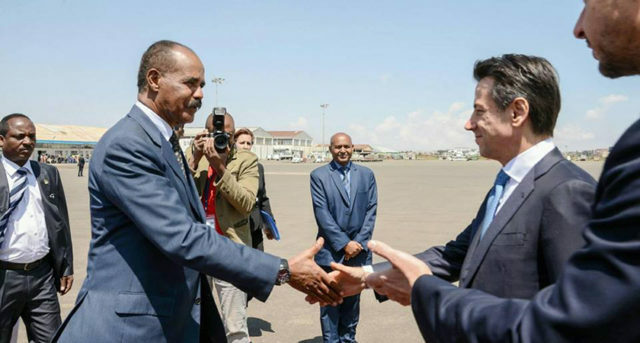 Also welcomed in this case triumphantly at the Asmara airport, Conte soon agreed with the Eritrean President Isaias Afewerki to "strengthen cooperation and partnership between the two countries within a broader regional framework". The concept was further reiterated by the Eritrean Minister of Information, Yemane Ghebremeskel, who reported how Conte and Afewerki discussed in particular "bilateral and regional issues". At the end of the meeting, commenting on the results, Conte declared: "I wanted to testify to the President and to the whole Eritrean people a signal of attention and satisfaction for the turning point reached in the context of the pacification process with Ethiopia after a twenty-year conflict that has caused tens of thousands of victims. The signing of the peace and cooperation agreements creates the prerequisites for recovering resources that have been dedicated so far to defense and security and to allocate them to the social and economic development of the country. The pacification and development of the entire region of the Horn of Africa, as I said to the Eritrean President, can ensure better living conditions for the local populations and help to stabilize the international relations framework, also stabilizing migratory flows ". Surely the removal of sanctions issued to Eritrea in 2009 and 2011 on false accusations, on the impetus of the then Obama administration, and the officialization of the fact that due to the short-sighted European policies on immigration, 70% of those who come 'EU declaring themselves Eritreans in reality are citizens of other countries, primarily Ethiopian, Somali, Sudanese and so on, will be the first two steps to be taken to normalize the disagreements in migration. The EU, adapting to Obama's dictation, moreover not unlike the previous Clinton and Bush administrations, encouraged immigration from Eritrea promising to every Eritrean political asylum without too many problems. This, of course, has led many citizens of other African countries, in the absence of documents, to declare themselves Eritreans to obtain such facilities. In this regard, Enzo Moavero, the Foreign Minister, even before the departure of Count for Ethiopia and Eritrea had been too precise: "Italy is ready to accompany the economic growth and sustainable development of Ethiopia and Eritrea, through a structured strategy, with investments, cooperation interventions and programs of education and professional training, to enhance the human capital of the two countries, immediately giving an appointment to his colleagues for the Italy-Africa Conference of 25 October in Rome, stressing then how this commitment would have given rise to "concrete forms of economic collaboration on a bilateral, trilateral and multilateral level, in particular in the infrastructure and energy sectors". 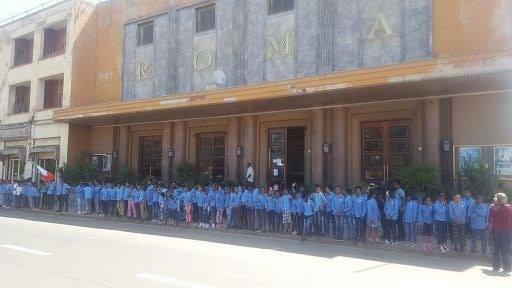 Giuseppe Conte was literally inundated by the popularity soon recovered by the Eritreans: passing for example in front of the Italian School of Asmara, the largest Italian school abroad, was in fact greeted by an endless procession of children who, at the height of the Cinema Rome, acclaimed him as he headed towards the presidential palace for official arrangements with President Afewerki. It was an emotional moment that will hardly ever be forgotten. Before him, only the President of the Republic Oscar Luigi Scalfaro had come to Eritrea, in 1997, followed in 2014 by Deputy Foreign Minister Lapo Pistelli in 2014: two meetings which, however, had not yielded significant follow-up. The effects of the collaboration between Italy and the Horn of Africa were immediately felt: it is today, for example, the news that the Italian company Nardi, historical name in the field of agricultural machinery of Città di Castello, will receive from Eritrea a contract worth several million euros that will be a great breath of oxygen after years of economic and employment crisis. To give the announcement to the enthusiastic workers was an almost incredulous managing director, Paolo Guerriero Carloni, who certainly did not expect a letter like that in times so quickly. 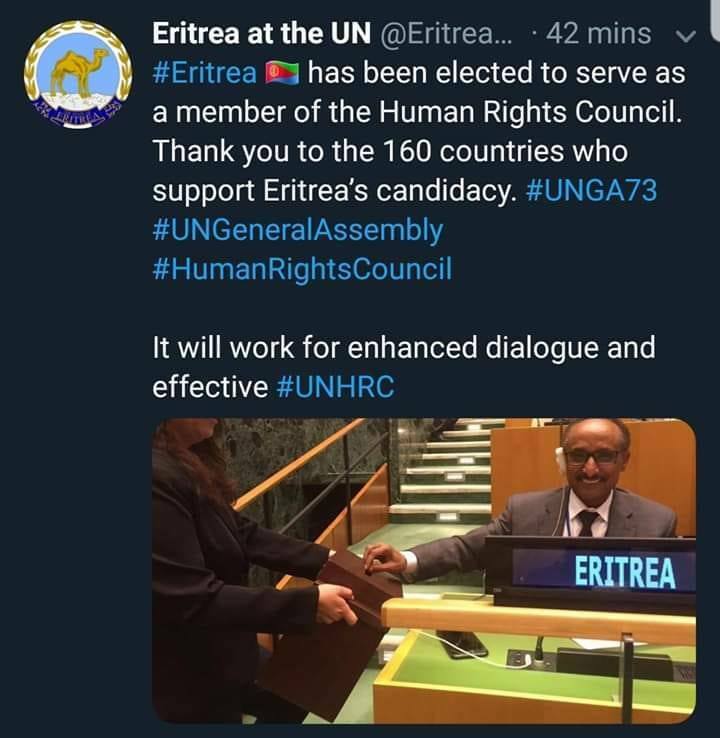 The last precious news, as a result of all this two days of extraordinary simplicity, is the election of Eritrea as a member of the UN Commission on Human Rights: a sign of a decisive change of times, which will lead to further precious innovations in the short term . Definitely, for Eritrea, October 12 was a new day of great success, the genesis of a future to say the least rosy. We just have to wait, with the usual trust that we have always shown in the great capacities of his people and his fellow peoples: as the Romans said, "Sursum Corda", "Up the hearts"!